As obesity in the UK rises, are brands doing enough to help make a healthier change for fat Britain, asks Shafqat Islam, CEO and co-founder of NewsCred. We have long lived in a world where an individual’s health is not self-governed, with significant decisions often laid in the hands of the system, public or private, depending on what country you live in and what you can afford. But like it or not, some of the biggest changes to how UK residents are managing their health – as well as being informed and educated about it – are down to brands operating in the closely related industries of retail, food and drinks, and we at NewsCred are expecting to see more of this in 2015. The major players in retail, food and drink are already responding to the challenge. 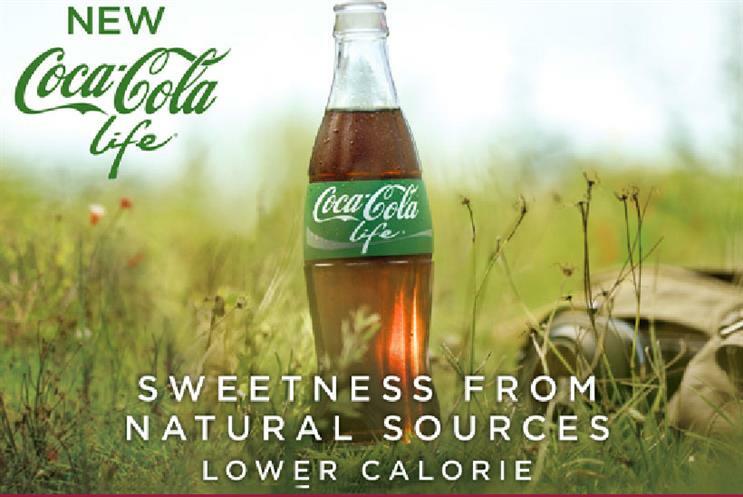 Brands like Burger King, McDonald's and Subway have pledged to associate themselves more with healthy eating, while Coca-Cola and Pepsi have upped their games by both launching lower calorie, more natural drinks. Coke’s in particular is part of a £20 million investment in anti-obesity projects. Supermarkets like Morrison’s, Sainsbury’s, Asda and Tesco have invested in revamping their in-house healthy food lines, while also launching a range of health and wellness initiatives. Tying these products in with health-related content has clearly paid off for many of these retail brands: Sainsbury’s Active Kids campaign was ranked as the second most popular content portal in our report with 27% positive perception, and the M&S Eat Well campaign was close behind at 21%. Obesity is by far the number one health problem in the UK that the consumers we surveyed think brands should be helping to combat via the content they provide – 48% chose obesity against other health issues such as heart disease, cancer, general health, nutrition, substance abuse, mental health, smoking, strokes and sexual health. Yet NewsCred’s research also found that Brits are ready for more detailed health information from brands that goes beyond simple calorie counts. When asked about the types of health content they wish to see more of from brands, calories actually came in at the bottom of the list, with just 25% of respondents saying they wanted to see more of this. So it is time to think outside prescribed initiatives that are purely formulaic, didactic, and process driven, and move forward by being bold and harnessing the power of different content, formats, media and voices. Are those who have made the biggest commitments staff-wise the ones who will lead the way here? Tesco and Mars have made health investments all the way up to their senior teams, ensuring it is more than just a mission statement, but that it truly lives within the company. In June last year, Tesco moved its UK marketing director David Wood into a new role, to lead a renewed push of its health and wellbeing agenda, while in July, Mars appointed former marketer Debra Sandler to the newly created role of chief health and wellbeing officer. We will be watching to see how these executives and brands raise the health stakes in 2015 and what intelligent, valuable content will come out of this that will make a difference to consumers. Yet the results will be affected by pressures on budgets dedicated to content, marketing and corporate social responsibility as both brands and the Government continue to be squeezed to do more with tighter resources – but arguably this is what will facilitate greater collaboration. Public Health England in July announced that it would place a renewed focus on co-creating health content with brands, to cost effectively achieve greater cut-through. At the time they commented that "over the course of this strategy we will deliver more agile, more interactive, more frequent, lower-cost content using a broader range of methodologies and partners that drive change for more specific target audiences". An example is a Change4Life campaign in partnership with Disney, which has seen content running on the media brand’s children’s programmes. As more collaborations like this come to the fore, our perception of ROI is bound to change too. The propensity to buy from or recommend a brand will be linked to how well health messages are delivered (29% of UK consumers we surveyed said they feel more positively towards brands that offer health content), while reach will be measured in conjunction with results. The opportunity to make a difference to the state of the nation gives a new meaning to content marketing. NewsCred’s latest report shows there are many positive indicators, but there also many gaps to fill especially when it comes to trust (many still trust mainstream media more than brands). Will 2015 be the year you rise to the challenge, and do more than just fill a gap? We hope so.